The gift that says it all! 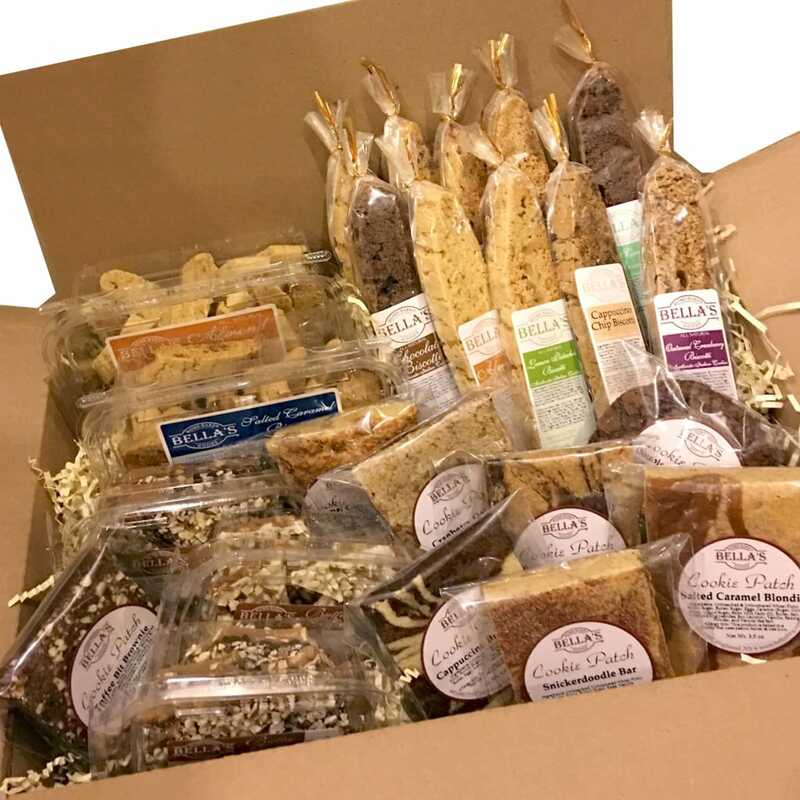 Bella’s Mama Mia Gift Box contains an assortment of our authentic Italian biscotti, mouth-watering butter toffee, and Cookie Patch brownies, cookie bars and/or cookies. It’s the “complete package”! These tasty temptations are sure to delight your gift recipient for days! Each elegant treat is individually packaged – perfect for sharing with your family, co-workers and clients. Available in two sizes. All items subject to availability.